Amin Driving School in Jersey City, NJ, offers everything from behind the wheel driving instruction to defensive driving courses and driver education at reasonable rates. Whether you’re a beginning driver or seeking insurance discounts, we offer the classes, vehicles and convenient schedules to meet your needs and make you a better and safer driver in no time at all. All behind the wheel driving instruction and NJ Road Test appointments must be canceled 24 hours in advance. If not, rescheduling fees will apply. The first step after taking a drivers ed course is to take the NJ permit test or written NJ driving test. If you have not completed this test in high school, and are under 17 years of age, Amin Driving School is pleased to take our customers to an NJ MVC Testing Center to take the written NJ permit test. Included in the Amin Driving School NJ Permit Test Service, students are provided with a review session in our Cliffside Park offices to prepare for the written NJ permit test. Further, Amin Driving School will take the student to an NJ MVC Driver Testing Center to have the vision test completed. **Study guide and classes at the office are offered in Spanish and English. Once you have completed your 6 months of supervised practice driving, and you have turned 17, you can take the NJ Road Test. Amin Driving School would be pleased to accompany you to the test, provide you with the use of our vehicle and an instructor, pick you up to take the test, and even provide you with some last minute training to ensure that you’re ready. If you are getting close to the day, and are not feeling confident, you can always call and we will be happy to provide you with additional training prior to the test day. The NJ road test must be scheduled with NJ MVC in advance, and we will be happy to schedule this for you if needed; although, most tests are scheduled for the date of your 17th birthday when your NJ practice permit is validated. Many student drivers require more than 6 hours to become comfortable and learn the fundamental skills that will help them to be a safe teen driver. Amin Driving School is happy to provide an evaluation of your driving skills and can provide the additional driving lessons required on a case by case basis. Many of our customers prefer to purchase this up-front in one of our packages, as it will save you money in the long run. Remember, our clients are always able to call and ask questions along the way for no additional charge. We are your partner throughout this entire process and look forward to helping your children become safe, responsible drivers. Whether you’re moving to the suburbs from the city, coming to NJ from another country, or had a situation that has shaken your confidence, Amin Driving School will custom tailor a training program for you. Whether its 1 hour or 20 hours, we will help you be safe and confident and our behind the wheel driving instruction is fantastic. Call us today! Defensive Driving Classroom Course – offered in Cliffside Park, NJ and Jersey City, NJ on alternative weeks! Defensive driving helps save money and lives. This is a 6-hour class held on Saturdays in our offices. Please contact us to find out when the next class is being held. Defensive driving can help you in many ways, including reducing points on your license and cutting your car insurance. The NJ Safety Council and State of New Jersey Motor Vehicle Services approve our class. 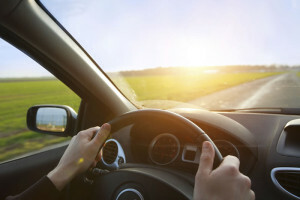 As one of the top driving schools in NJ, Amin Driving School offers a variety of services designed to ensure that you and your new teen driver are covered every step of the way. Amin Driving School offers some of the best behind the wheel driver training programs in NJ for 16 year old drivers. This program will help you learn the skills required to get your NJ drivers license and to be a safe driver.